Jordan Peele’s “The Twilight Zone” is one of the most-anticipated shows of 2019: a bold take on a beloved classic, from an A-list risk-taker. CBS scored a coup by landing it — but CBS won’t air it. Instead, it will debut on CBS’s streaming service, CBS All Access. Welcome to the Streaming Zone, a time and place in which streaming is so dominant that even the biggest TV network is going all in. 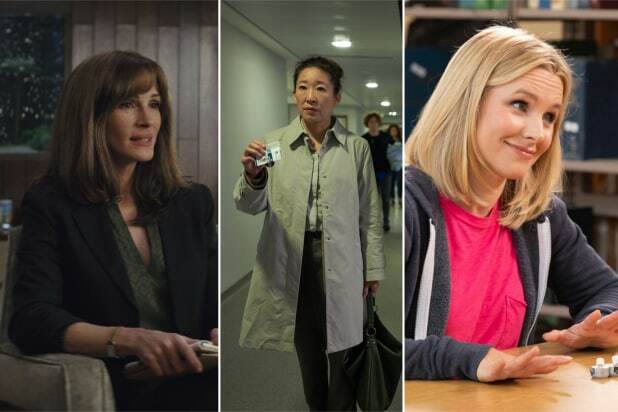 The irresistible allure of the Streaming Zone has pulled some of the most talented people in television to Netflix, Amazon and Apple. Peele joins Shonda Rhimes, Ryan Murphy, Oprah Winfrey and many others in a new reality where content seems to go on forever. Streaming companies spent much of 2018 building this new reality, one where creatives are no longer limited by timeslots or network censors. CBS All Access will have 10 different originals in 2019. Since 2014, the number of scripted shows to air on streaming services has exploded by 385 percent, totaling 160 this year, according to FX Research’s annual scripted original series count. For the first time, streaming accounted for the largest percentage of scripted series on any platform — 32 percent. Both broadcasters and basic cable TV scaled back in 2018. After luring Rhimes away from ABC Studios last year, Netflix begin 2018 by signing fellow uber-producer Murphy to an eye-popping $300 million deal, getting him to leave his own longtime home at 20th Century Fox. Netflix next enticed “Black-ish” creator Kenya Barris, after he cut short his deal with ABC Studios. 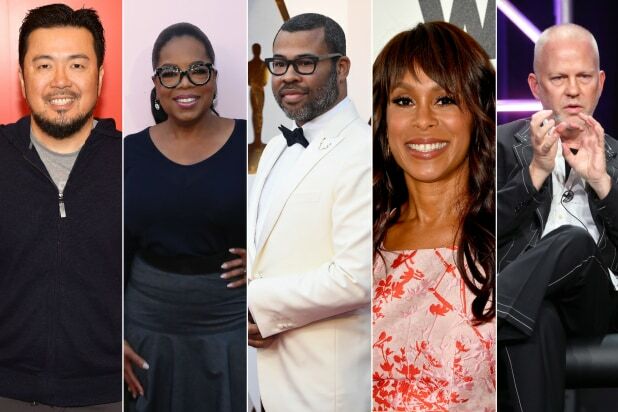 Amazon landed Peele with a first-look TV deal fresh off his Oscar win for “Get Out,” while Apple embarked on a spree that included Winfrey and “Fast and the Furious” director Justin Lin, who was lured away from Sony Pictures TV. Though Netflix’s expensive deal to keep “Friends” on its service for at least another year proved the continuing value of existing content, streaming companies know they need to create their own hits. Netflix will no longer receive any new programming from Disney beginning next year, because Disney is saving its content for its own upcoming streaming service, Disney+. Netflix is willing to pay: It spent $13 billion on content in 2018 alone. Streaming companies aren’t just going after prolific producers, but also top executives: Jen Saalke left NBC to head up Amazon Studios, bringing along broadcast TV veterans Vernon Sanders and Albert Cheng to run the TV wing. This week, Netflix hired former ABC Entertainment president Channing Dungey to help run its original content team with Cindy Holland. The network executives who remain at broadcast networks include Karey Burke at ABC and Paul Telegdy and George Cheeks at NBC. Broadcasters — and everyone else — may want to keep prized talent close: WarnerMedia will launch its own streaming service by the end of next year. And then there’s Apple, perhaps the biggest mystery of in the Streaming Zone. Apple’s 2018 included a barrage of eye-raising series announcements from the likes of J.J. Abrams, M. Night Shyamalan and even Sesame Workshop. But no one has seen anything, or even knows what kind of platform they will air on. “Pose” A landmark TV series when it comes to LGBTQ representation, a win in one of its two categories could help usher in a wave of like-minded counterparts. The HFPA loves to honor the new “it” shows. “Killing Eve” would certainly fit that bill, and the BBC America series pulled off one of the rarest TV feats: Its ratings improved every week. Plus, star Sandra Oh will already be in the building. “Homecoming” Getting a win in one of its three categories would go a long way for this high-profile series from Amazon. It could even help convince Julia Roberts to return for Season 2. “The Good Place” Despite critical acclaim (and an early 4th season pickup), Mike Schur’s afterlife comedy doesn’t have the trophies to match its quality, and it’s time for that to change. That mind-bending fall finale deserves an award all by itself. “GLOW” Netflix’s wrestling series has a lot of award nominations without any major wins. Alison Brie, nominated for the second year in a row, would certainly love to change that. “Escape at Dannemora” Ben Stiller + Benicio del Toro + Paul Dano + Patricia Arquette should lead to at least one win for this Showtime limited series, right?